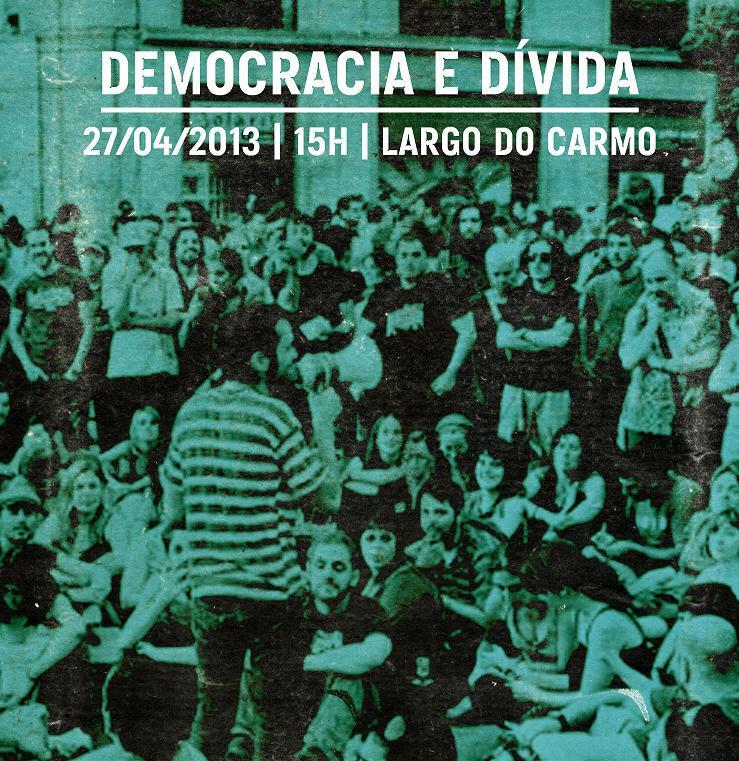 “The “Democracy and Debt » was born on the end of March 2013, when a group of activists of Portuguese social movements considered important to bring information and debate on these issues directly to the public space. The “Democracy and Debt » consists of four initial promoters (João, Nuno, Teresa and Tiago) and two residents facilitators (Rui and Vítor). Two new promoters (Helena and Pedro) have joined recently. All elements participate individually and all help the management of online platforms and the promotion of events. The events initiatives part from the collective or from individual people. We consider that democracy means openness and social dialogue, for this reason we discuss other positions on debt and promote the public exchange of ideas ».